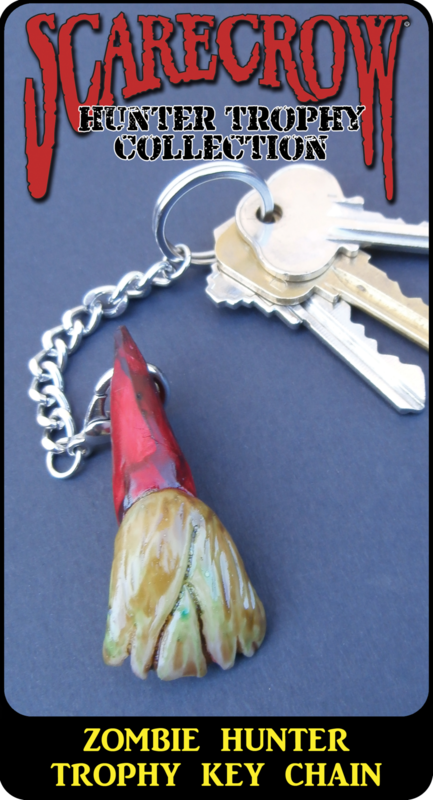 Scarecrow's beautiful boutique vampire and zombie hunter trophy collection are individually hand made in our California studio with genuine dental acrylic. 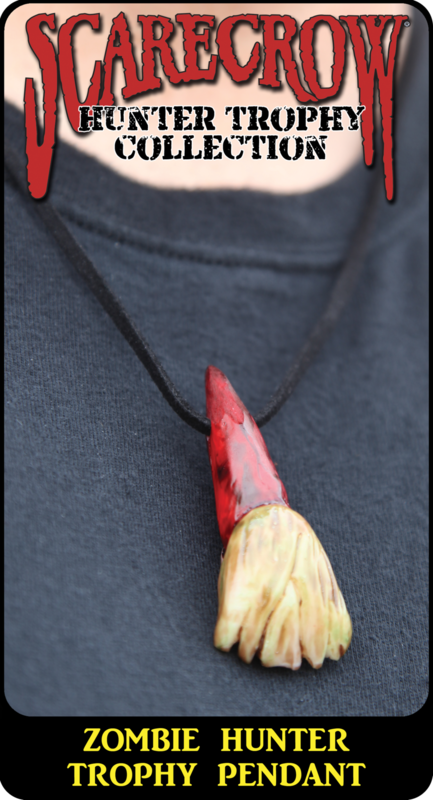 Each trophy is hand polished & painted by artists. 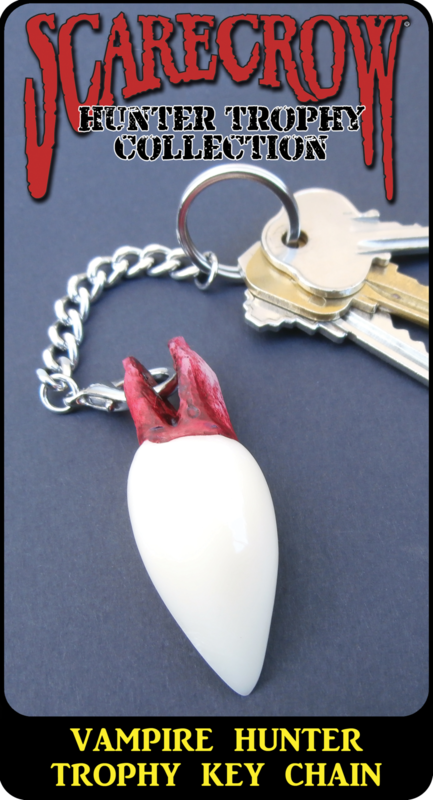 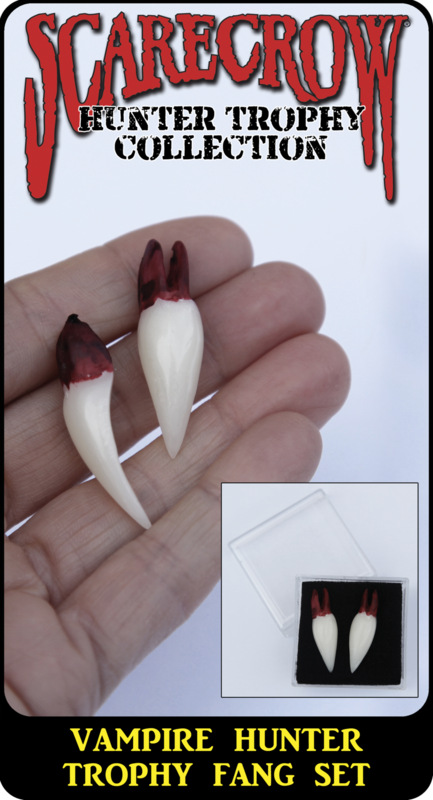 Pendants come on suede cord and life-size vampire fang trophy set come with clear storage box.